ESPN recently conducted an intricate evaluation of 122 franchises out of the NFL, MLB, NBA, and NHL (what, no women’s sports???) and tried to determine who is the best and worst of the bunch. They used eight different categories to determine an overall grade. Those categories are Bang for the Buck, Fan Relations, Ownership, Affordability, Stadium Experience, Players, Coaching, and Title Track. Definitions of each category are available at the top of the actual article. In short, Minnesota sports were varied in their results. The Twins finished as the 14th best franchise, spearheaded by the top ranking in the “Stadium Experience” category which is easily confirmed by simply speaking to anyone that has seen the Vikings play at home this season. 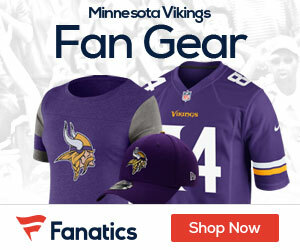 The Vikings are Minnesota’s second best franchise ranking 59th overall. They ranked 118th in “Stadium Experience” which further illustrates why the team would like to replace the Metrodome. If you have an ESPN Insider account, you can click on the team names to get a more detailed analysis of why each team ended up where they did. This news will test that new Mr. Rogers attitude in Freds. You ready to pay my boys of summer a little more respect now, Mr. Nice Guy?